Recently I have been staying away from my usual skincare. For the past few months I have been trying so many different products that my skin got so dry and sensitive at some point. Therefore, I decided to give my skin a break and go back to my old skincare routine. I have been using the Simple range for so many years, not only that the products are affordable but they work amazing too! My faves out of the range are their micellar cleansing water and their light hydrating moisturiser. I have tried their night moisturiser and I must say that I did not enjoy using it. It felt very sticky and heavy on the skin but the light day to day moisturiser works perfect for me. 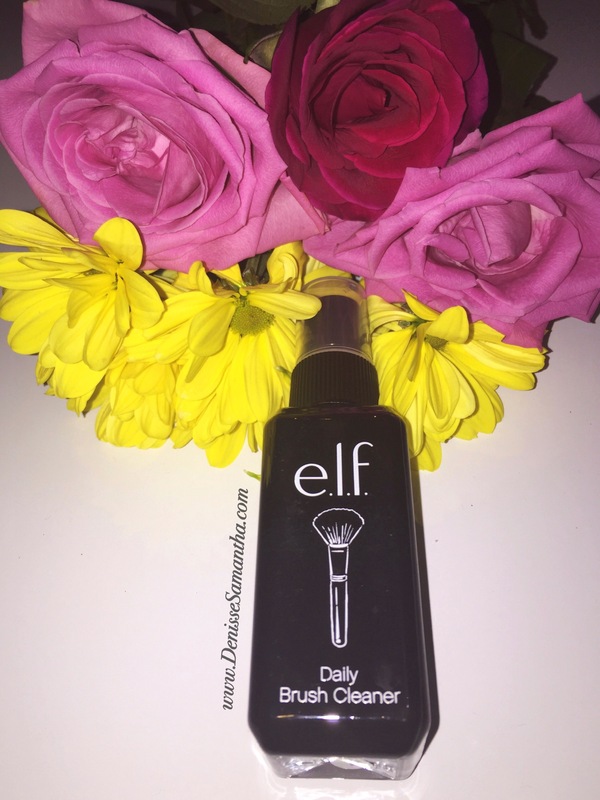 ELF daily brush cleaner– Honestly, I get so lazy when it comes to washing my make up brushes. This brush cleaner makes it easier for me to clean in between make up applications. It disinfects the brushes and makes it clean and fresh before use. However, I only use this for quick cleaning and I still do my usual routine for thorough cleaning. ELF eyeshadow duo– I love these pretty sparkly shadows and I have been using it quite a lot recently. However, I must say that the staying power is not good by itself. Therefore, when I use this I always make sure that I apply an eyeshadow primer. 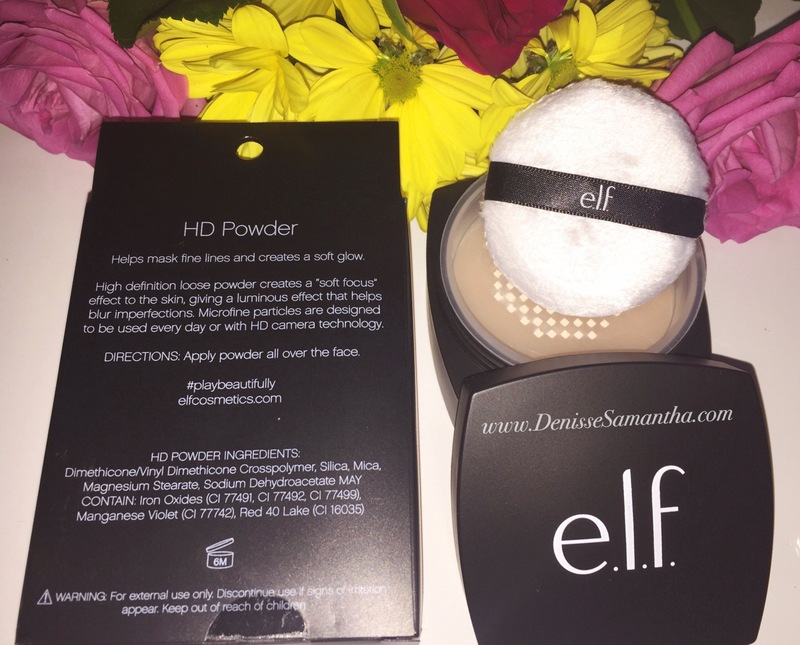 ELF HD powder– I have a few different brands of powder in my collection and one of my most affordable and my favourite one is the NYX banana powder. I have been alternating my NYX and this ELF powder. So far so good but I don’t think its amazing as I am unsure about the ‘soft focus’ effect. I usually use this to set my foundation. Aesop remove– Honestly, I still have to give this product a go as I haven’t been using it long enough for me to be able to give my full comment. Initially, I didn’t like the product due to the thickness of the oil and the residue it leaves on the skin after use. I am aware that the oil is probably good for the skin but it is just a personal preference as I got used to micellar waters when it comes to taking off my make up. I decided to add it on my April fave as I have recently been liking it because of its ability to take off most of my stubborn mascara residues. I sometimes struggle to take off my Maybelline Hypercurl Mascara but when I use this it comes off straight away. Philip B Katira Hair Masque– Love this stuff, it really does make my hair shiny and bouncy when I use it. All you have to do is rub a small amount of this hair masque into a towel-dried hair and comb through. I use it differently, sometimes I tend to leave it overnight but usually I only leave it for about 20-30 minutes. 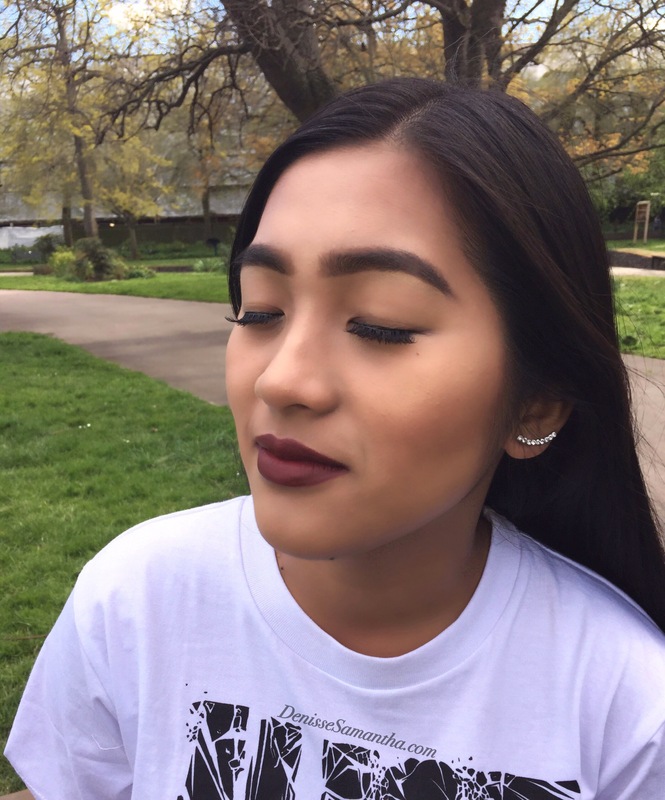 Eyelashes– Love these lashes when I’m having a break with my all time fave Ardell demi wispies. However, this one looks glam unlike the demi wispies which are perfect for everyday use. 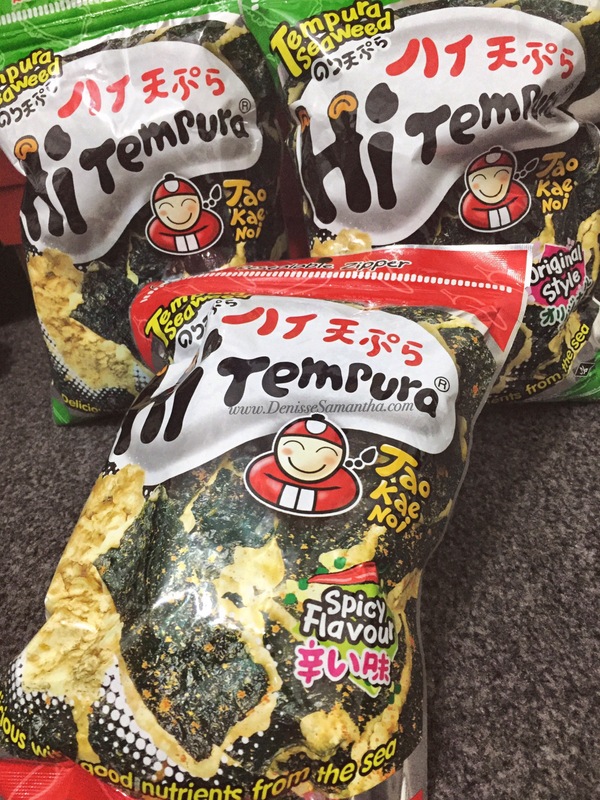 Tempura seaweed snack– I know this is not a beauty related item but I have been obsessed with this snack recently. I just had to add it on my my April faves! What are the things that you are currently loving? Let me start off by saying I love these falsies, they are my absolute favourite lashes. I have tried a few different brands and different styles but I always find myself going back to this one. I like how it is very comfortable to wear as it has a lightweight thin band. I feel that the lashes are versatile as it gives a natural look but can also be glamorous at the same time. The natural criss-cross style adds volume to lashes and it creates a beautiful look. 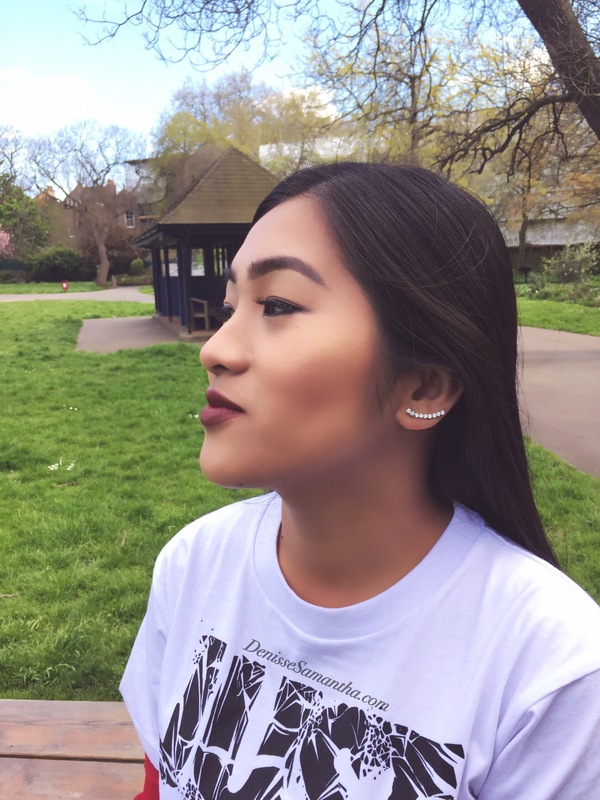 They are perfect for everyday wear and night outs. I seriously can’t think of anything in specific as negatives. It is more of tips on how to take care of them, which is applicable to any false eyelashes. 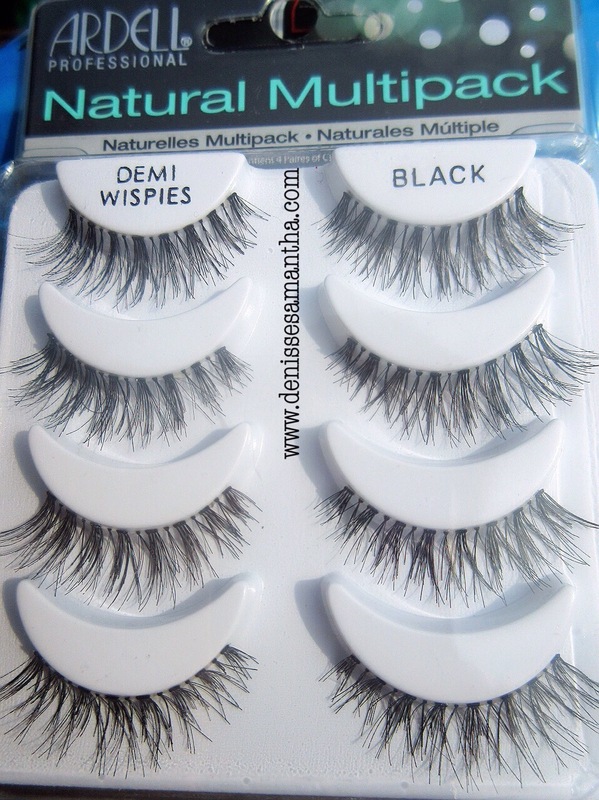 I give the Ardell Demi Wispies 5/5 because they are very comfortable to wear and I love the natural look it gives. They are high quality and are reusable depending on how they are taken care of. I usually wear contact lenses and it doesn’t irritate my eyes. I suggest purchasing the value multipack, which contains four pair as it so much cheaper than buying four individual packaged ones. Comment below on what your favourite brand and style of false eyelashes are? Have you tried Ardell Demi Wispies and what do you think of them? Another travel diary to add on my DeeWanderlust page and this time it’s all about Brussels, Belgium! Beautiful architecture and so much history to learn, but most of all they absolutely have delicious food. Belgian chocolates have always been my favourite and who can say no to waffles and fries? Definitely not me! Of course, my Belgium trip would have been incomplete if I didn’t also have beer and mussels!